Modern Era Plumbing & Gas Solutions can dispatch a fully qualified plumber to your property within an hour of your call. We provide 24/7 emergency plumbing service meaning our plumbers are available around the clock 24 hours a day, 7 days a week including weekends and all public holidays. We provide professional, friendly and prompt service – on time, every time at a very fair price. Our skilled emergency plumbers will come to you any time of day or night. Whether you have a leaking toilet, burst water pipe, blocked sewer or storm water drain, roof leak, gas leak, overflowing toilet or no hot water, we can help. 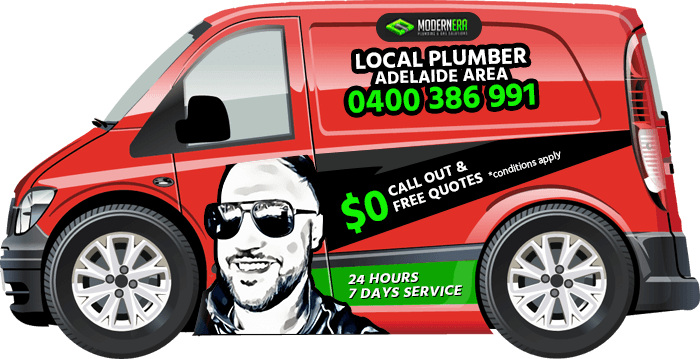 We are your local emergency plumber in Adelaide. We are speedy, reliable and economical, and never close! We have certified professional plumbers who will come to your home or business no matter what time it is. We pride ourselves on fantastic customer service and budget friendly cost. We offer a wide range of services. We are your local emergency plumber Adelaide. 24 hours a day, 7 days a week to get the job done!